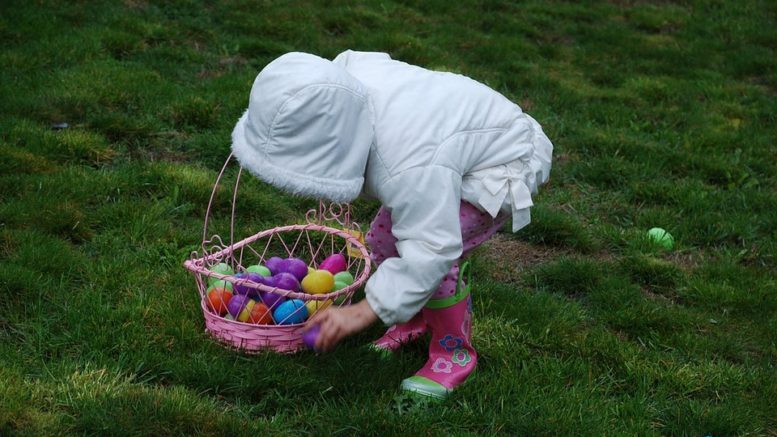 The annual Easter Egg Hunt is set to return on April 13. The Home of Christ Church and the City are once again teaming up to host their annual Easter Egg Hunt on April 13 from 10 a.m. to 1 p.m.
Aside from the Easter Egg Hunt, there will also be a jump house, story telling, face painting, a puppet show, music and more. This free event is open to the public and will take place at Cupertino Memorial Park, 10195 North Stelling Road. Attendees are encouraged to pre-register for a chance to win a prize. For more information about the annual event, click here. Be the first to comment on "Annual Easter Egg Hunt set to return"